The Treasury Department is responsible for managing the District's issuance of bonds and other debt obligations as well as cash, investment and debt portfolios. The department monitors and adjusts the District's cash and investment position to meet daily liquidity needs while maximizing investment returns. An Investment Policy developed by the department and adopted by the Board guides the types and duration of investment tools utilized to manage the cash position of the District. Responsibilities for managing the debt portfolio include maintaining record of and ensuring proper payment of all outstanding debt. Treasury also evaluates bond transaction proposals and refunding structures in order to determine the most cost effective method of financing a portion of the District's capital needs as well as managing its long- term debt obligations. 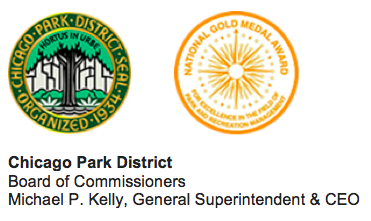 Steve Lux has served as the Chief Financial Officer of the Chicago Park District since March of 2013. In his capacity as Chief Financial Officer, Steve is responsible for the fiscal management of the Park District including the offices of Budget & Management, Comptroller, Financial Services, Human Resources, New Business Development and Treasury. Steve has overseen process improvements in the review and payment of invoices, implementation from fully insured to self-insured health care plans that have saved the Park District millions of dollars, changes to the prescription drug plan, diversifying and reinvesting of the District’s investment portfolio, and refinanced debt for over $55 million in savings. Prior to his arrival at the District, Steve has worked in the accounting and finance fields for over 30 years in both the public and private sector. 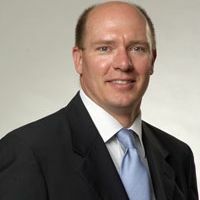 Prior to his current position, he was a Director for the State and Local Government Team for the national accounting firm Baker Tilly Virchow Krause LLP, providing audit assurance and consulting services. He has also served for 15 years in various roles in the Office of the Comptroller for the City of Chicago. After a short period as Acting City Comptroller, he was appointed City Comptroller in June of 2006 and served in that role for 5 years. As City Comptroller, Steve was responsible for the City’s cash flow and debt management, processing vendor payments and payroll, maintaining official financial records, preparing financial reports, administration of employee and annuitant benefit programs and risk management. Before working at the City of Chicago, Steve was an accounting and auditing manager at Deloitte & Touche LLP serving clients in the real estate and construction industries, public sector, and not-for-profit areas. Mr. Lux is a member of the Government Finance Officers Association and has served on the Committee on Governmental Debt Management. He also is a trustee of the Park Employees and Retirement Board Employees Annuity and Benefit Fund. He has an undergraduate degree in accounting from the University of Illinois in Urbana and is a Certified Public Accountant. Cynthia Evangelisti is Treasurer of the Chicago Park District and has been with the Park District since 2003. In her capacity as Treasurer, she is responsible for overseeing and managing the Park District’s debt ($1.3 billion), and its cash and investment ($300 million) portfolios. Prior to her appointment as Treasurer, Cynthia served as Acting Treasurer, Deputy Treasurer, Assistant Treasurer and Senior Treasury Analyst at the Park District, Cynthia was instrumental and played a pivotal role in the Park District achieving upgrades from rating agencies, the creation and the development of the Park District’s debt policy and procedures, banking due diligence and refinanced debt for approximately $107 million in savings for the Park District. Prior to her tenure at the Park District, Cynthia held various positions at the City of Chicago. During her career, Cynthia has managed and closed bond transactions in the billions, which spans multiple credits. She is a member of the Government Finance Officers Association (GFOA) and was recently elected to serve on GFOA's executive board for a term of three years. She formerly served on its Treasury and Investment Management Committee as Chair and Co-Chair of the Investment Subcommittee. She is also a member of the National Association of Bond Lawyers (Legal Assistants Section), and is a former officer and emeritus director of Women in Public Finance and currently serves as Vice President and Director of the Chicago Chapter of Women in Public Finance. Ms. Evangelisti is a recipient of the City’s 2008 Kathy Osterman Award - Finalist for public service and she holds a Bachelor of Arts in Political Science with emphasis in Public Administration from Northeastern Illinois University, a Post-Baccalaureate Certificate in Paralegal Studies from Roosevelt University and a Master of Science in Public Services Management from DePaul University’s School of Public Service.